When reading your electric meter, simply write down the number the hand has passed. Notice that some hands turn right and some turn left. If a hand is directly on a number, you may be uncertain whether to write down that number or the next lower number. 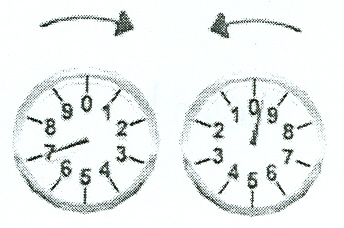 If the hand on the right has passed 0, write down the number to which the hand on the left is pointing. In this case it is a 7. 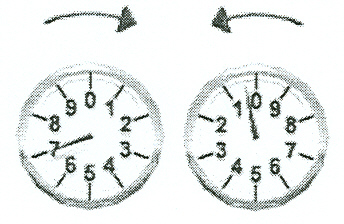 In this case it is a 6, if the hand on the right has not passed 0.